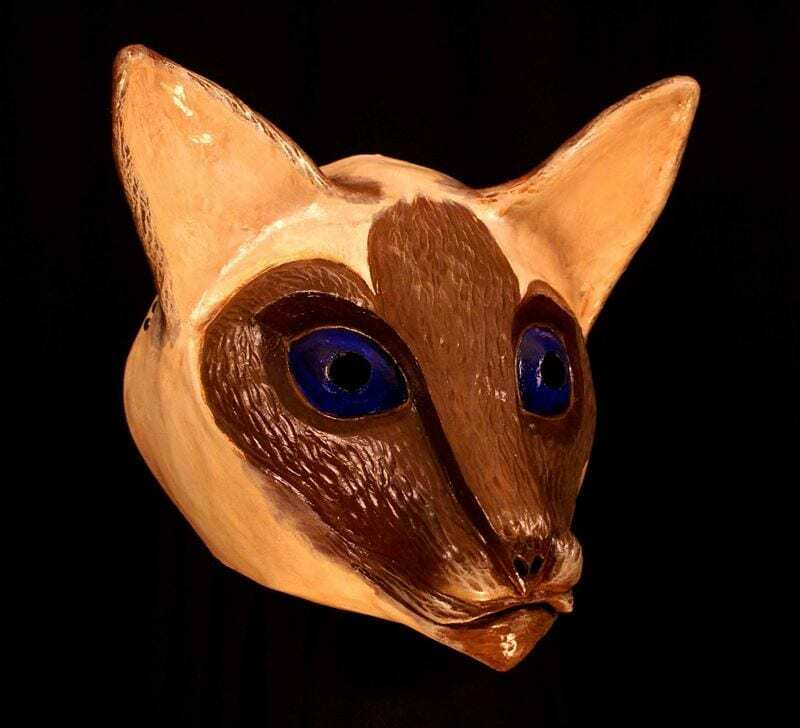 The Siamese Cat Mask. This mask was created for a Meet the Breeds Trade show in New York City in 2008. Pictures of this mask playing on the streets of NYC can be found in the production shots section of the site. The Siamese cat is one of the oldest and best know cat breeds. Once the royal cat of Siam now Thailand, the Siamese cat is beloved for its good looks and opinionated voice. This cat mask is curious, smart and demanding. Passionate about its person this animal mask will involve itself in every activity its person engages in. The Siamese cat mask will not only learn new tricks but train its trainer to do what it wants. He beautiful and will always have something to say even if its loud and obnoxious.